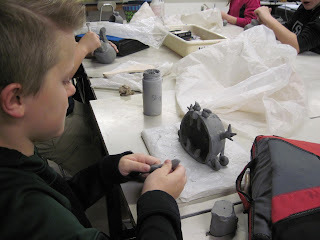 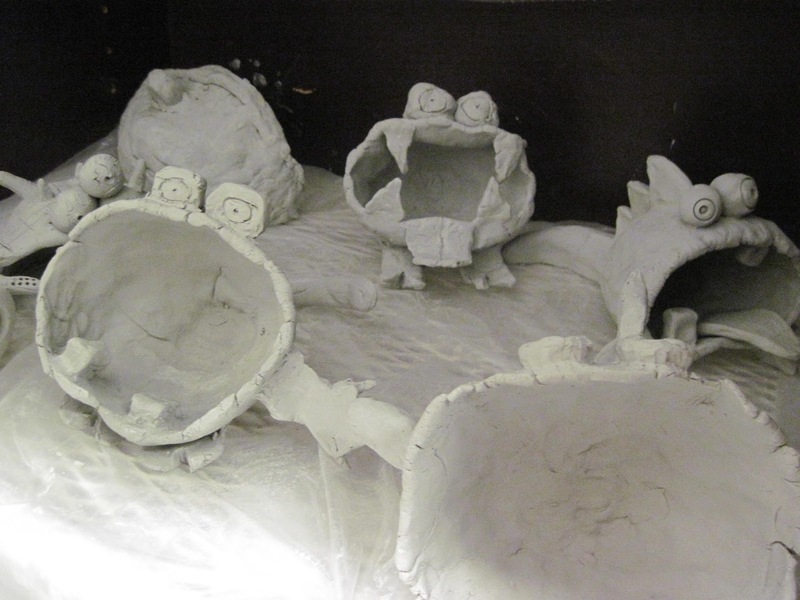 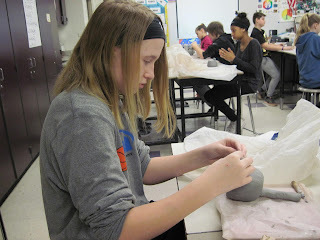 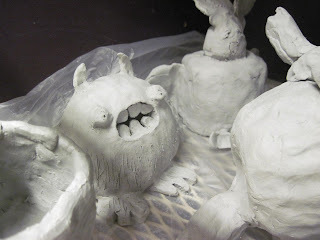 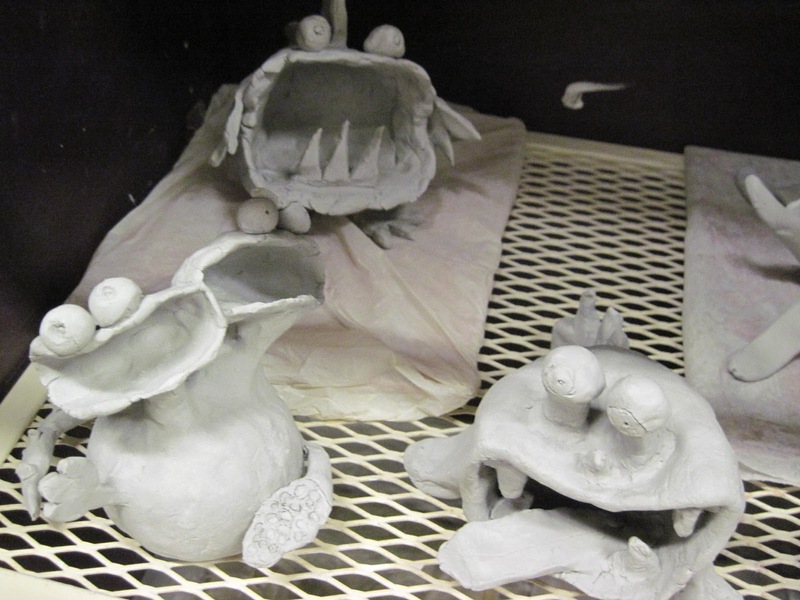 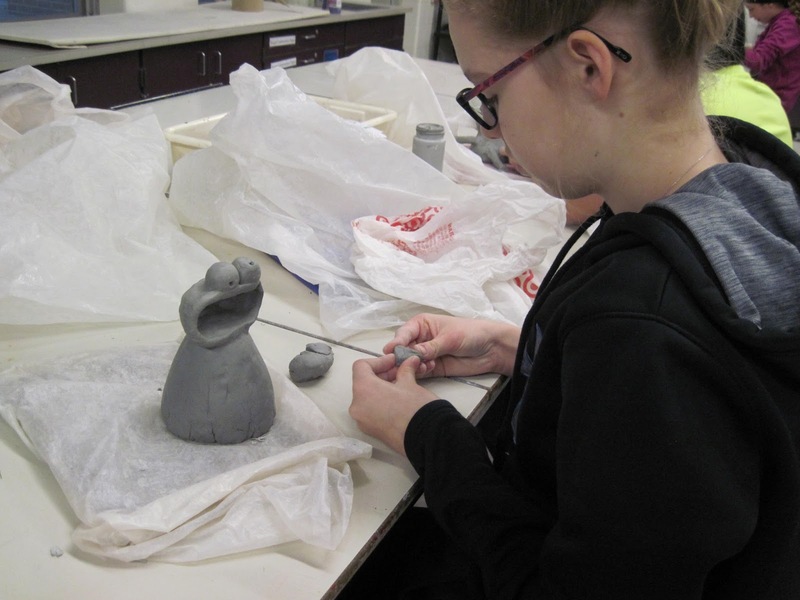 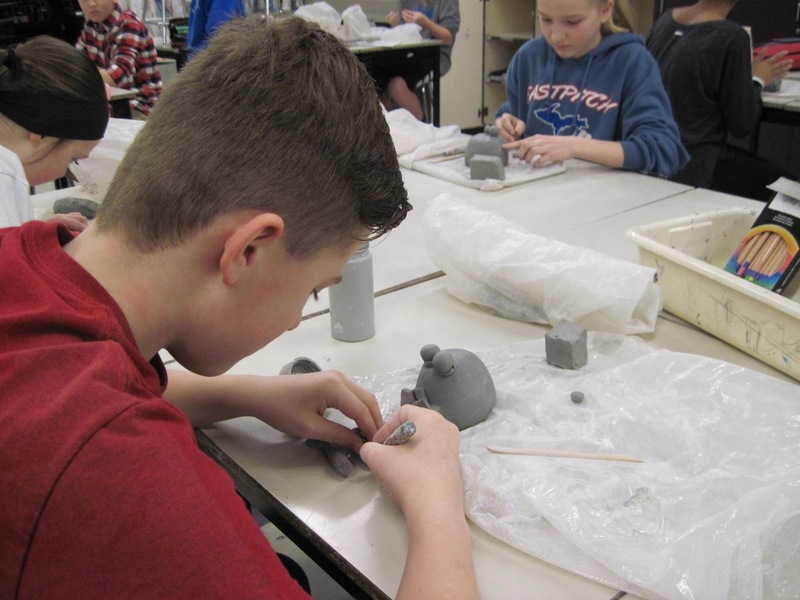 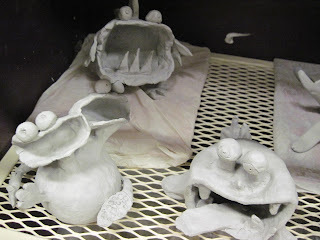 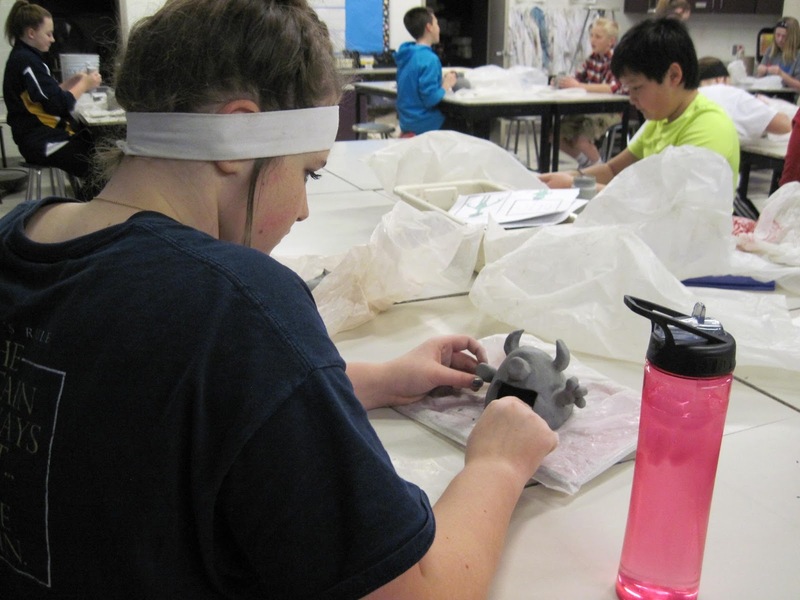 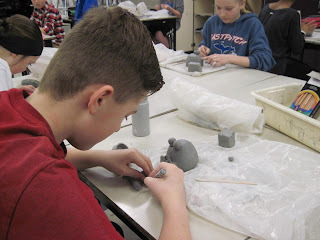 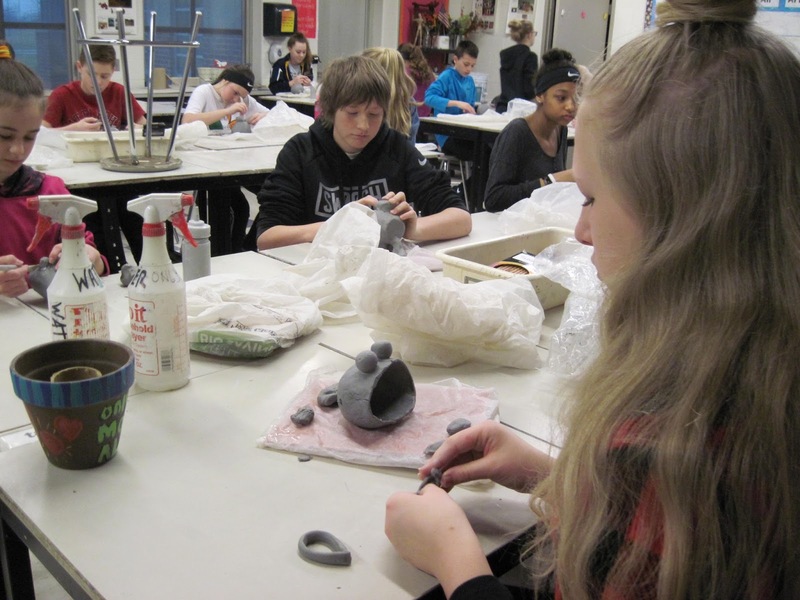 6th Grade Students have been hard at work creating Monster Pots. 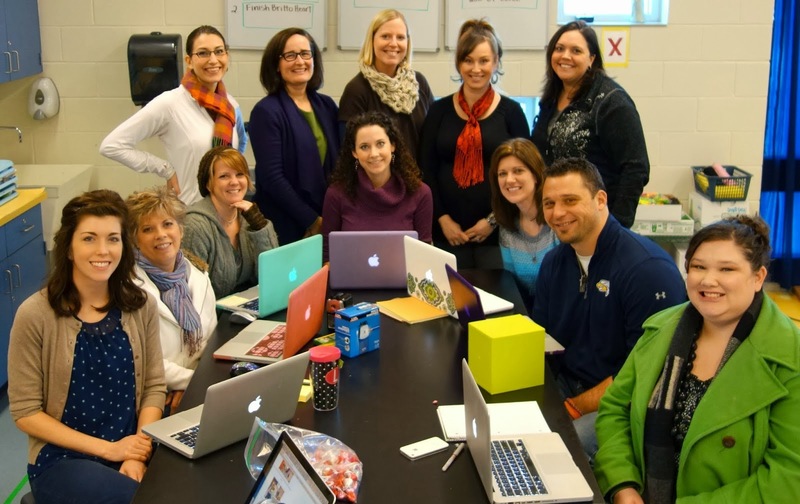 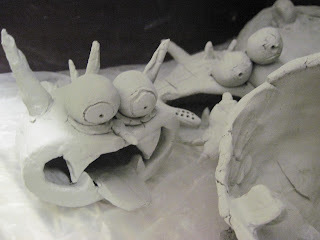 Each student explored, planned and is building a different monster... 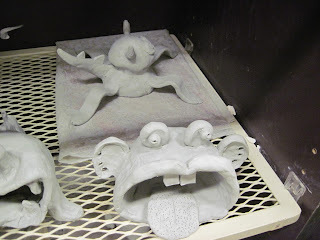 Here are some shots of some in progress and some nearly finished. 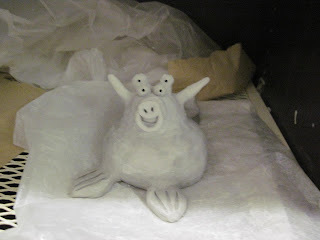 Be sure to check back on the Middle School pages to see the finished creatures!